In the mineral-rich Northwest Territories, mining is the largest industry. Official estimates are that it employs more than 3,000 people directly, and it has generated some 28,000 jobs to date. The result of all of this activity has been some $46B in minerals extracted. 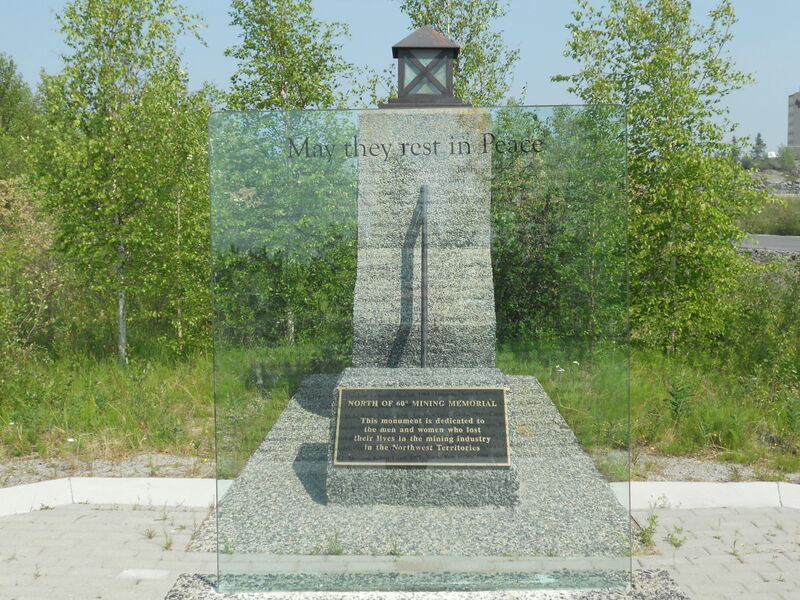 All around Yellowknife, there are reminders of the town’s mining heritage. 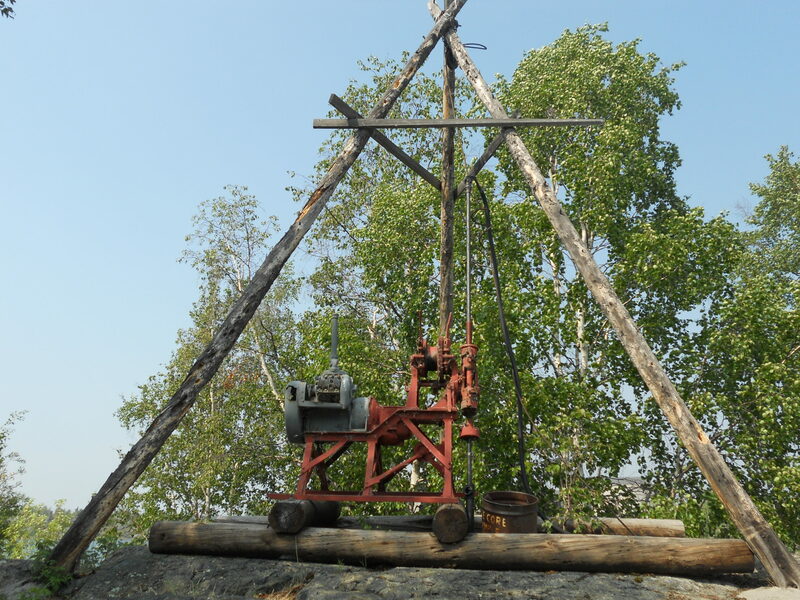 A few steps from City Hall sits this old diamond drill from Giant Mine, a non-operational gold mine located just outside of town. Production ceased in 2004, but to this day, Yellowknifers remain concerned that its underground stores of deadly arsenic trioxide dust will pollute Yellowknife Bay, and taxpayers are still paying for the billion-dollar site remediation costs. A lesson that with billions in revenue can come billions in cleanup cost. In June, to acknowledge the invaluable contribution that this industry makes to our economy, we celebrate Mining Week. This year’s celebrations took place from June 8th to 13th. Anyone possessing the slightest bit of curiosity about the industry – or about rocks – could have had it satisfied, in spades. Geologists, usually a low-key bunch (in my experience), were the stars during the week. They held public talks on the history of mining in Yellowknife – which began with gold mining, then turned to diamond mining. They hosted walks around town and surrounding areas, pointing out various geological formations to those of us who simply walk around without considering what’s underneath our feet. We heedlessly walk over rocks with scrape marks that we don’t realize are ancient glacial scouring marks. We hop from a ridge of pink rock onto one of dark grey rock, giving no thought to the fact that we are literally hopping over 100 million years of geological history. The fact is that there’s rock everywhere you turn in this town, so walking on rocks is as unremarkable as walking through a field covered in different kinds of grass…unless you’re a geologist. Who would have known that the rocks of our everyday scenery could be so interesting? Our geologists would, that’s who. 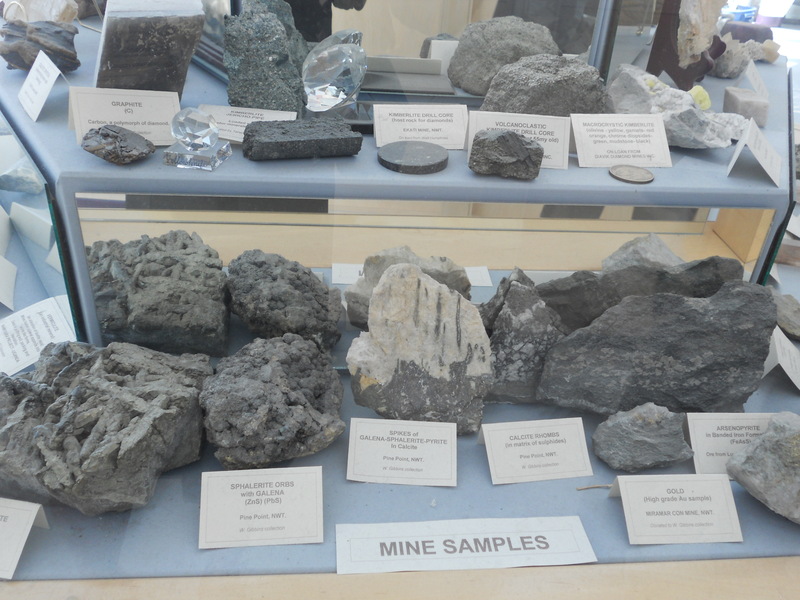 There were open house events where you could meet a geologist, or bring your favourite rocks and have a geologist identify them. Organizations throughout the industry joined in the celebration. 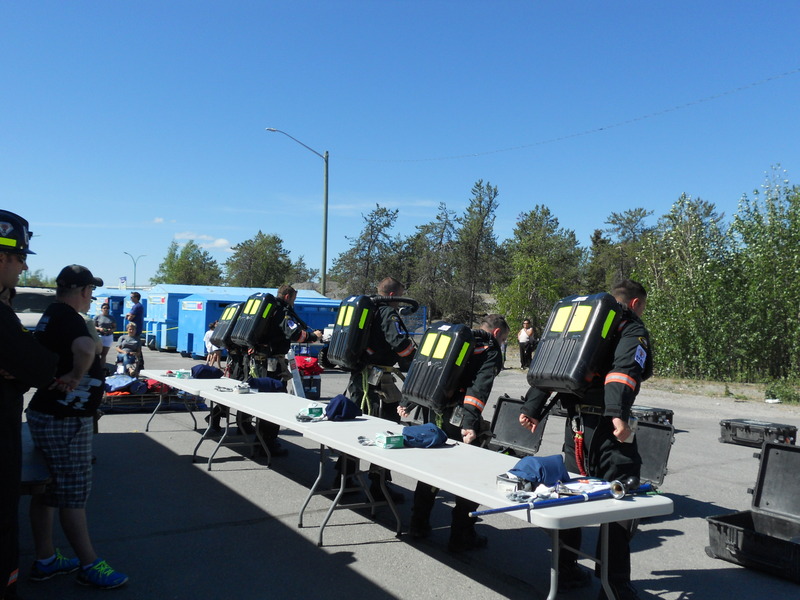 The NWT Mine Training Society opened its doors and allowed members of the public to explore its mining simulator. The NWT Diamond Centre hosted an open house to showcase diamond cutting and polishing. The Diamond Centre kindly gave me my own exclusive demonstration months ago, which I wrote about in my Diamonds in the rough blog, back in January. 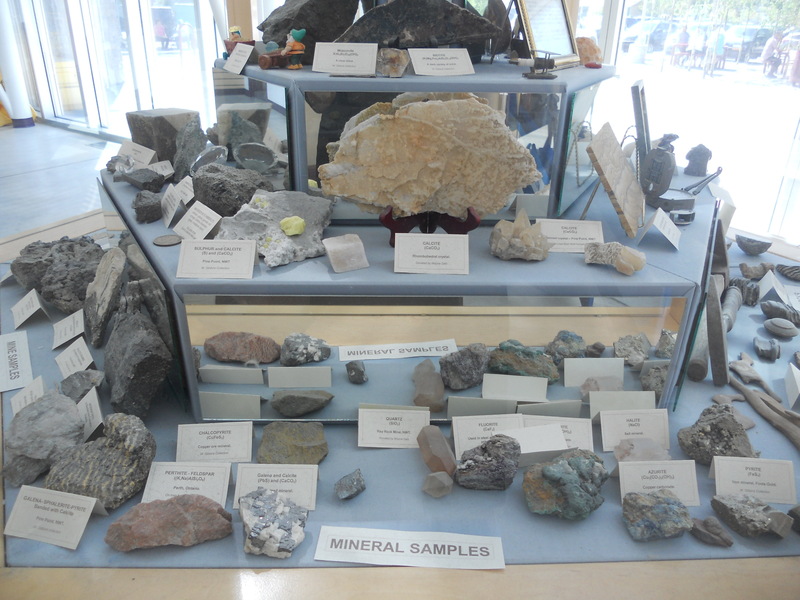 Of course, there was no shortage of rocks and minerals on display. 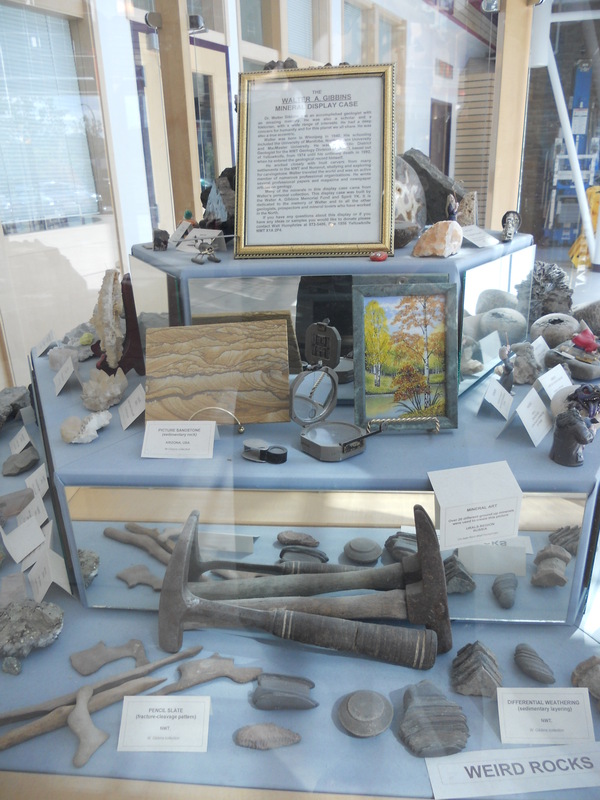 This display was courtesy of the NWT Geological Society. It even included some “weird” rocks. To close the week, our hard-working miners emerged from their pits and tunnels and showed us their stuff in the Mine Rescue Competition. Surface and underground mine rescue teams hailed from across the North and there was also one from British Columbia. From the Northwest Territories were teams from our 3 big mines: Ekati, Diavik and Snap Lake. 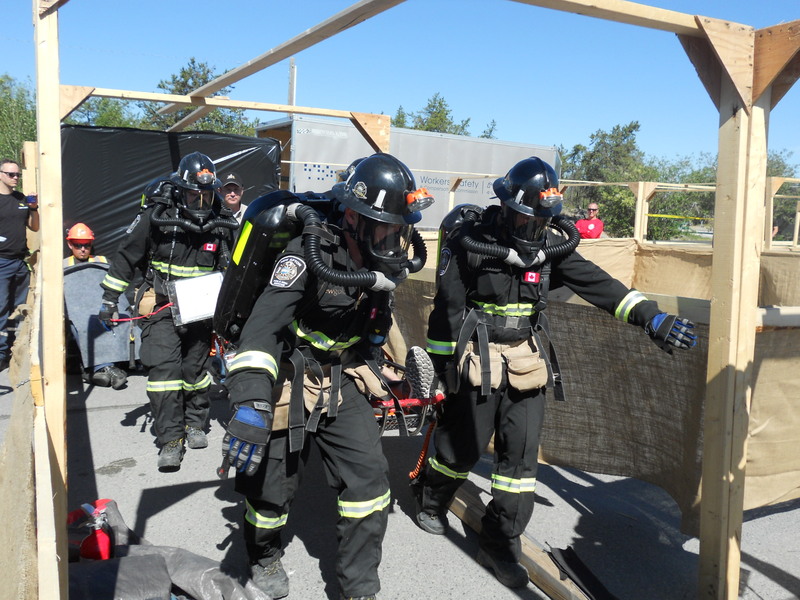 From Yukon came a team from the Minto mine, Nunavut sent a team from the Meadowbank mine and from British Columbia came a team from the New Afton mine. 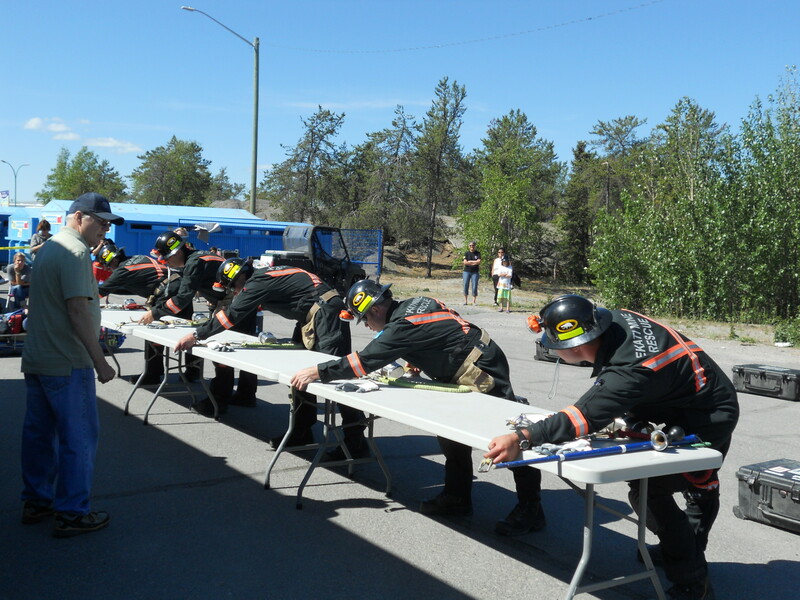 The teams competed in mock exercises, which were designed to test their ability to respond to a mining emergency. Here’s a team extricating mock-injured miners in a simulated situation that included some obstacles along the way. 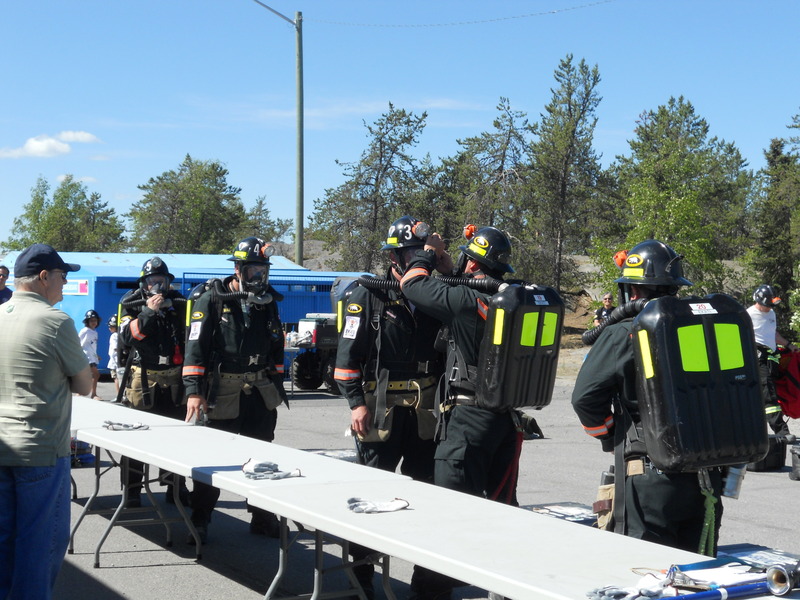 In the bench/field test, teams had to check every piece of their equipment, suit up and don their oxygen tanks to prepare for a rescue operation. The captain called out the commands and each team member responded when he had completed the action. Some portions of it were quite the precision drill, with all team members performing their actions in synch and responding in military style. It was a hot day and by the time the test was over, the team members were sweating in their suits. This is the Ekati Underground team in action. Among the other exercises were rope rescue, fire fighting and first aid. There was a winning team for each exercise, and the Ekati Diamond Mine emerged ahead of the pack, winning the trophies for Overall Surface and Overall Underground. The fact that mine rescue teams are needed is a reminder that mining is an activity that can cost lives. 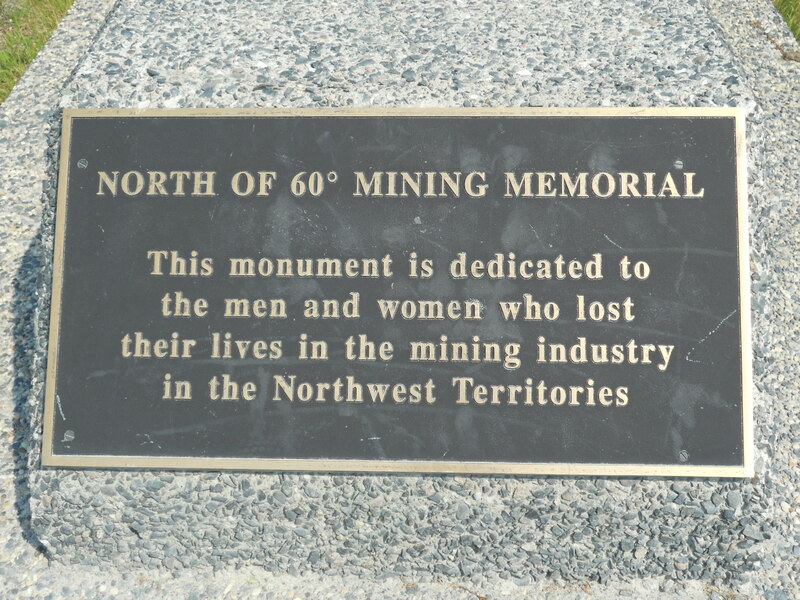 Near the edge of town is the North of 60 Mining Memorial, dedicated to those whose lives were lost over the decades. Etched in glass, in front of a flame housed in a lantern-like structure, are the names of people who perished. 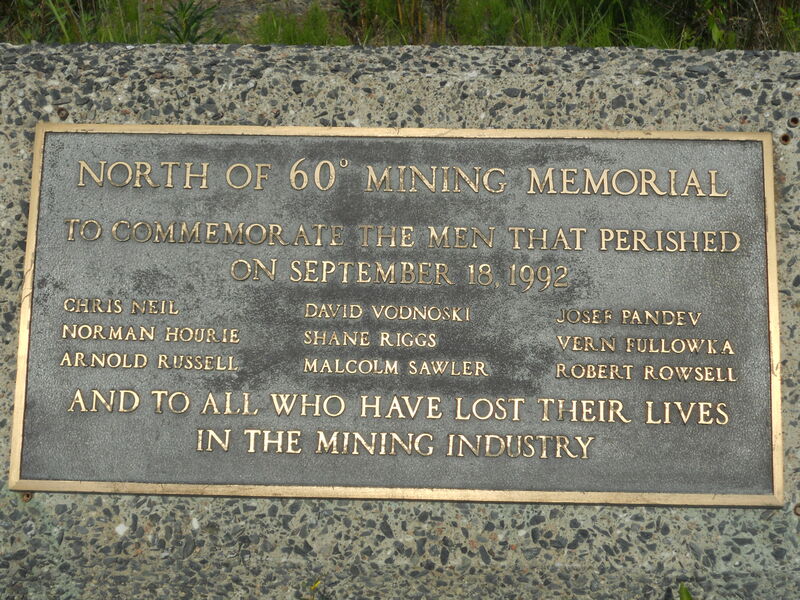 A special memorial plaque sits off to the side, with the names of 9 men who died on September 1992 in an explosion at Giant Mine. Workers were on strike at the time over a labour dispute. The men who died were strike-breakers and replacement workers and the explosion was deliberately set. That Giant Mine strike is still a touchy subject in this town. 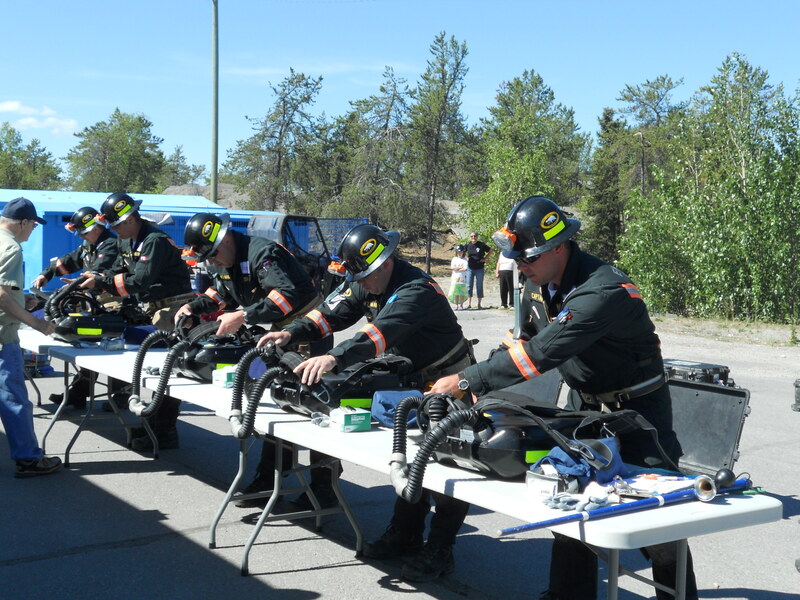 But Mining Week is a celebration of what is good about mining, and the Mine Rescue Competition illustrates the extent of the precautions taken to prevent the loss of life. After all of that hard and hot work in the various competitions, the rescue teams got a rest and everyone enjoyed the Miner’s Picnic. 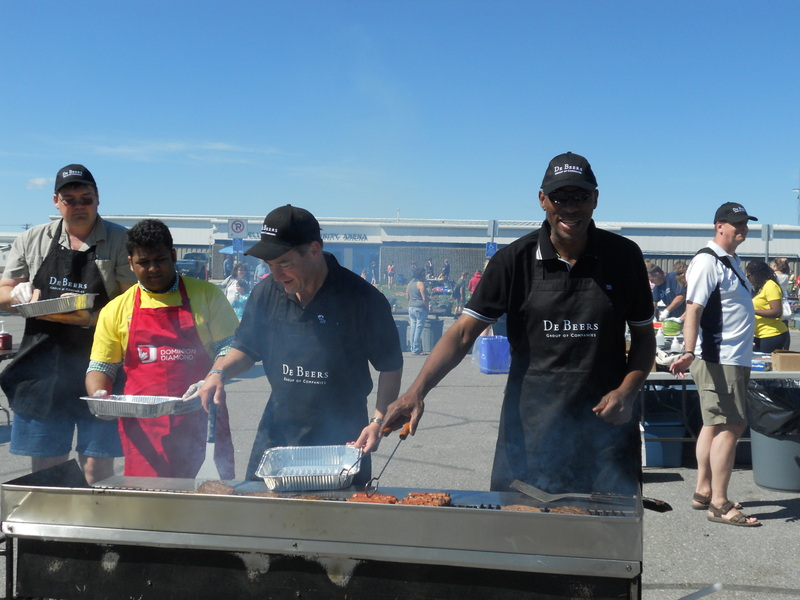 Staff from the mines worked the barbecue grills to serve up a seemingly endless supply of hot dogs and hamburgers for the hungry crowd. It was a good week for the miners, and for everyone else.